Writing is scientific .. but we dont need to be Einstein to improve our hospital website ranking in search engines. Content Matters :: Regardless of what your website sells, keep in mind that it has the potential to reach a massive audience and be beneficial to your hospital beyond any traditional SEO benefits. Blogs, patient testimonials, educational articles and all on-site content are a chance to link your healthcare institution to useful, interesting and educational information about your service lines. Well written and relevant copy about interesting topics is more likely to be linked and shared by potential patients .. increasing your page rank as well! Write compelling headlines :: The titles of your articles and webpages are important. They are among the first things that can grab the patients attention. Instead of using a dull, generic heading make sure your heading is interesting while clearly explaining the content. 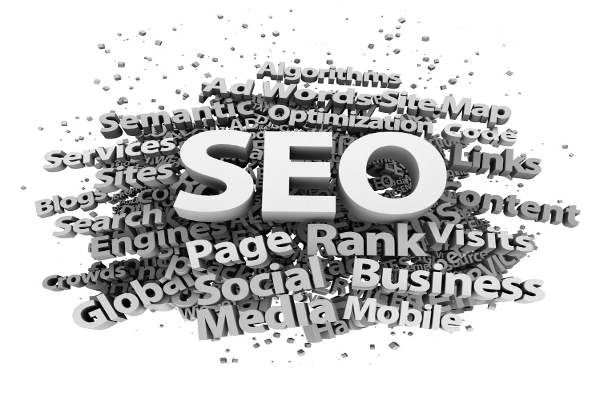 Working a keyword into the heading is also a great SEO tip. Stay on topic :: Its easy to write around a subject and drift into tangents unrelated to your topic. Keep in mind that this is business writing and not a personal blog. While its ok to have some personality in your text, your focus should be on the hospital topic you are writing about. Keyword length & density :: For website content and other off-site articles you intend for directory submission content should be between 300 and 1,000 words in length. The length of your article will be determined by the number of keywords you use. You should use aprox. 1 keyword per 50 to 100 words. Don’t stack keywords :: Some people cram all of the articles’ keywords into one section – usually at the beginning of the article – often as part of a list. Spread your keywords evenly throughout the article so they look organic. Add keywords to the bio :: Whether you are writing a story for a CME brochure, a patient piece or submitting an article to an online health directory, there will be an opportunity for you to add your biographical information. This is valuable real estate and another chance for optimization. Make sure that you include at least one keyword in your bio sketch. Write & tag hierarchically :: Using the appropriate tags will show Google that your content is professional and well-structured, which will lead to higher placement. Make sure you use the H1 tag for titles and the H2 tag for subheadings, etc. You should also apply this concept to your writing, putting the most compelling information on top. Use META tags :: Making sure that your articles have META descriptions – 150 character descriptions of the content — that have keywords included. META descriptions is a great way to get Google to recognize your content and give it greater value. Write original content :: Search engines will punish sites that publish duplicate content that already exists online. Make sure that your content is fresh and original instead of just “copying and pasting” content from existing sources. Choose relevant images :: Having eye-catching images that are relevant to your content will grab the reader’s attention. Be careful and avoid risking copyright infringement. I am an interactive media professional with 10+ years experience managing marketing and communication solutions in academic medicine and health-care environments.